The clinical approaches to the chronic degenerative diseases that drain our resources, and compromise our well-being, have become almost exclusively symptom-focused. The common wisdom is that they are idiopathic with final outcomes to be managed rather than prevented or cured. That they are potentially reversible rarely enters into any discussion between doctor and patient. 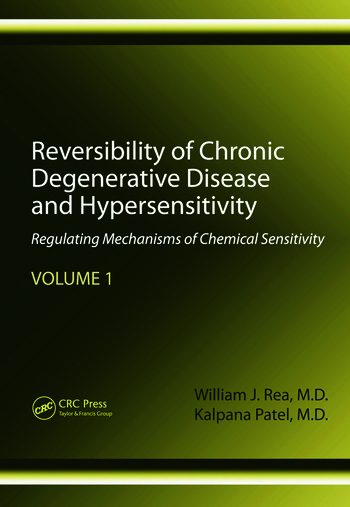 Reversibility of Chronic Degenerative Disease and Hypersensitivity, a four-part encyclopedia, offers a much different perspective on chronic degenerative disease, one that disputes the idiopathic label attached to most, as well as the usual fatalistic prognosis. 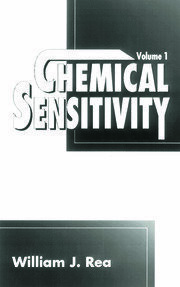 The first volume, Regulating Mechanisms of Chemical Sensitivity, demonstrates that one aspect common to chronic diseases is the disruption of systemic and cellular homeostasis. Environmental pollutants play a large role, along with the contributions of genetic and life style factors, in disrupting the self-regulating mechanisms built into our normally adaptive cells. Drawing on a vast amount of data and clinical cases attended to by the authors in their own medical practices, this volume examines the complex relation that environmental pollution has with chronic degenerative diseases. It considers its impact on the body’s vast communication networks and what excessive overload does to homeostatic mechanisms. The authors factor in both general and specific environmental loads and how they alter and trigger genetic and non-genetic responses. Volume 1 begins with an overview of the physiologic basis of homeostasis, exploring various ways that the body deals with toxins and the networks it uses to communicate news of assault and makes provisions for adaptation. The text delves into the connective tissue matrix and considers vascular, neural, endocrine, and immune system responses to a variety of noxious assaults. Written by two very knowledgeable clinicians, it brings together research of the highest caliber and provides extensive discussions involving sophisticated biochemical, endocrine, and neural science. The text provides clinicians with the knowledge to understand the triggering and processes of degenerative diseases, so that they might develop more efficient treatment and prevention plans. The book also supplies the knowledge and perspective that can lead research to more effective treatments.